Have you ever browsed through Houzz or Pinterest and saw a photo of a home update that would be perfect for you? Or watched and re-watched a video on how to paint your kitchen cabinets? It couldn’t be *that* hard to do yourself, right? We know you want your home to be beautiful and up-to-the-minute fresh, but we also know that you probably have your family budget in mind. So, you think you should at least *try* to put a new sink in the powder room yourself. Or replace the floor tile in the kitchen. Or add that gorgeous pendant light fixture above the island. There’s YouTube to show you how, isn’t there? It’ll be fun and easy, they say. 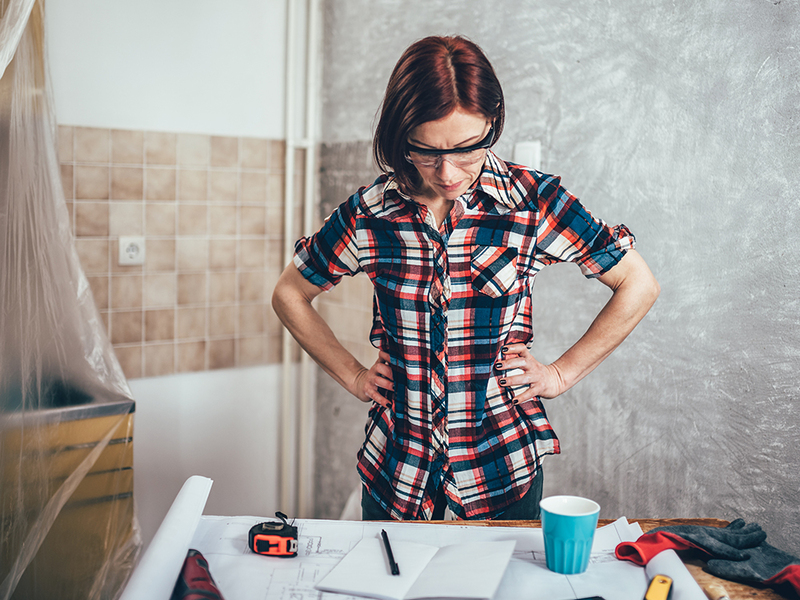 A recent survey by ImproveNet found that 63% of homeowners who attempted DIY home improvement projects regretted at least one of those projects, and 1 in 3 hired a pro to fix what they had started. Home improvement projects that look like they are small enough to do yourself often have hidden steps and challenges that you didn’t anticipate. You pull out the bathroom tile and find mold on the wall. You get the kitchen faucet halfway out but just can’t seem to loosen that last hose connection to finish removing it. So, the faucet is left there, dangling, on a Saturday night, and you have no water in your kitchen. Then what do you do? One of the main reasons for DIY regret is that a project took longer than expected. That’s understandable when you only have evenings or weekends to work on something. If you don’t have time to finish in one day, it just has to wait. And life has a way of interrupting those DIY projects. Also, many projects are physically or technically harder than homeowners thought they would be. For example, when repairing a ceiling and replacing a light fixture damaged by water leaking from the bathroom above, you’ll quickly realize that dealing with the combination of electricity and water can be tricky and potentially dangerous. And you’re doing it all standing precariously on a ladder. You don’t need to spend your valuable time researching how to do a project, then spending money on tools and supplies you’ll need for it, only to turn it over to a pro when you’re dissatisfied with the results. You have better things to do. We respect how valuable your time is. You don’t really want to spend all your weekends finishing the basement, do you? Whatever project you’re planning, we’ve probably done it many times before with beautiful results. 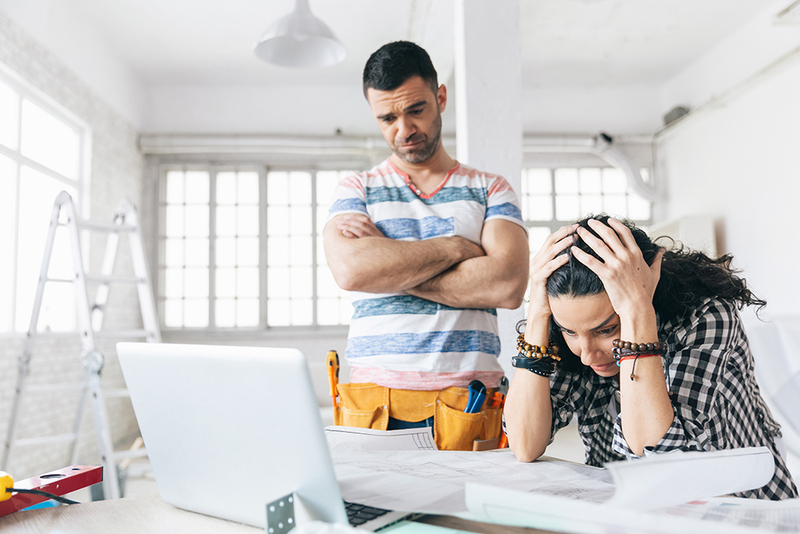 Before you start that home improvement or remodeling project on your own, learn from the regrets of the homeowners. Measure twice, cut once. Better yet, just call us. We can save you time and money by doing your home improvement project right the first time. Let someone else be the star of the next “DIY Home Improvement Fails” viral video. Let’s talk today.